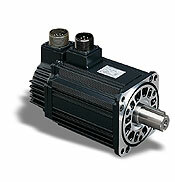 Choice of Servo Drives with 200 V & 400 V.
Analog/ Pulse train reference as standard with network option of Mechatrolink-II, Profibus, DeviceNet. 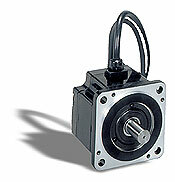 Option for ServoMeter with ElectroMagnetic Brake. 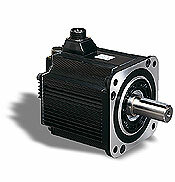 Choice of Low Inertia, Middle Inertia and High Inertia motors. 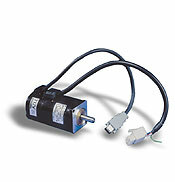 20 bit Incremental encoder (resolution-1048576 PPR) as standard with Serial Interface to Servo Pack.